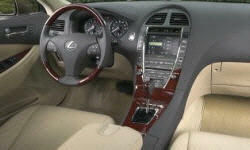 Why the 2007 Lexus ES? Much more aggressive than previous versions of the ES. 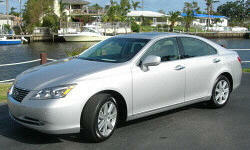 The ES used to be a rehashed Camry but this new generation has shown that the ES is a model of its own. The inclusion of the panaramic sunroof really caught my eye. A great deal of sound filtering is apparent when you open/close the windows in a noisy environment. Toyota/Lexus has proven over the years that they are one of the top if not the top carmakers with the most reliable vehicles.